Sekar Kathiresan, a physician scientist and a human geneticist, leverages human genetics to understand the root causes of heart attack and to improve preventive cardiac care. 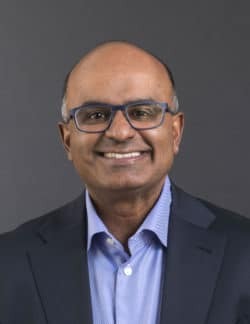 Among his scientific contributions, Dr. Kathiresan has helped highlight new biological mechanisms underlying heart attack, discovered mutations that protect against heart attack risk, and developed a genetic test for personalized heart attack prevention. 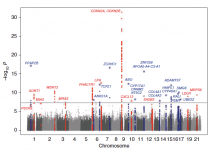 What is the inherited basis for heart attack? Are there genes which confer resistance to heart attack and can these findings be used to inspire new medicines? 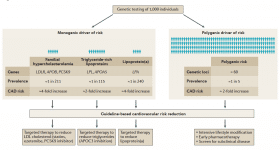 Can DNA sequence stratify those at risk for heart attack and be used to target preventive treatments? Gene discovery for heart attack risk. 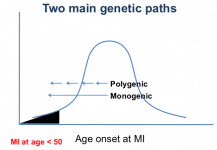 The genetic basis for heart attack can be divided roughly into two categories: monogenic (a mutation in a single gene sufficient to lead to heart attack) and polygenic (the additive effect of multiple mutations contribute to risk for heart attack). Over the years, we have used a range of approaches to characterize DNA variation (genotyping, sequencing) and a variety of analysis techniques to associate genotype with phenotype. Protective genes. 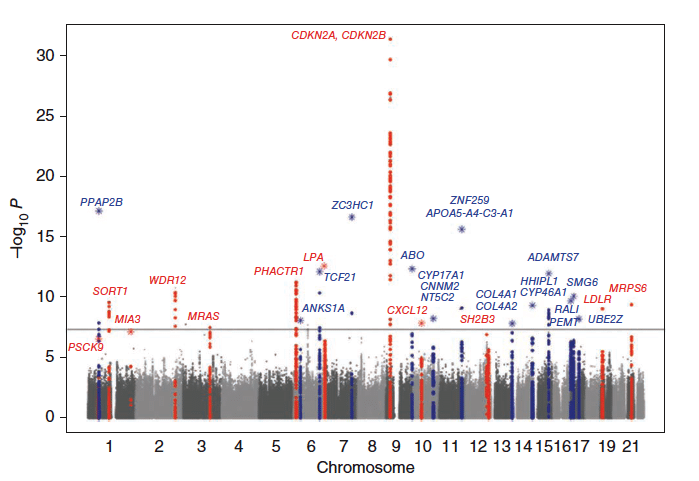 We have compared the DNA sequence of individuals with and without heart attack to identify mutations the protect against heart attack (i.e., mutations which are over-represented in individuals free of disease when compared to individuals with disease). 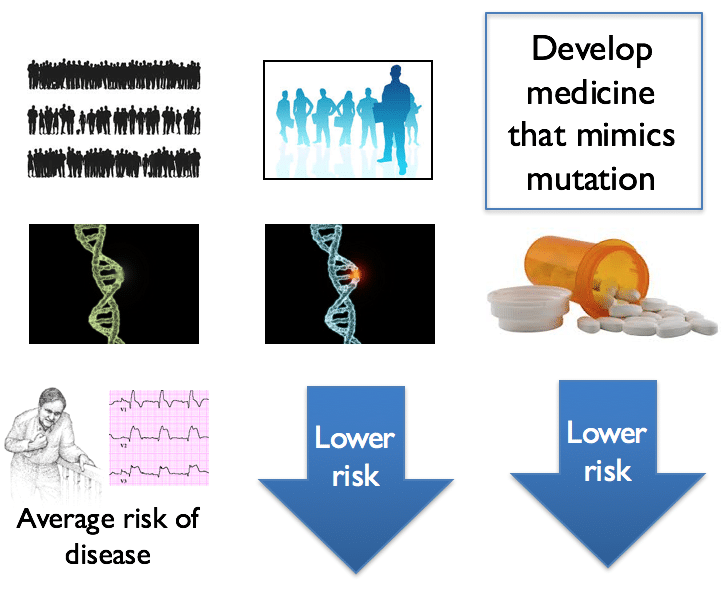 Genomic medicine. 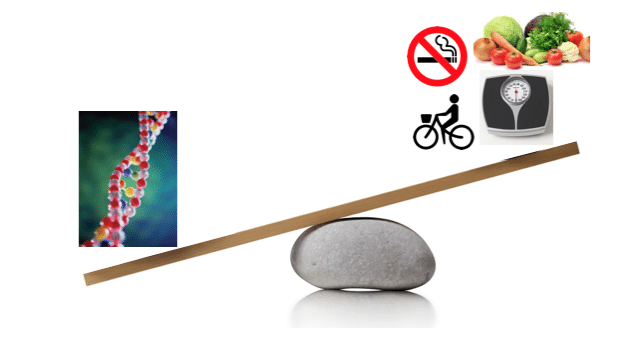 We have assessed the predictive value of DNA-based risk assessment for heart attack and evaluated the role for lifestyle and pharmacologic intervention to reduce risk. We have defined the proportion of early heart attacks due to monogenic mutations and identified more than 60 common DNA sequence variants that contribute to polygenic risk. 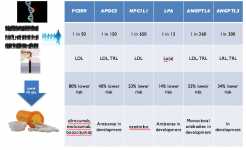 Gene mutations that lower the levels of three distinct lipoproteins – LDL, triglyceride-rich lipoproteins, and lipoprotein(a) – protect against heart attack. 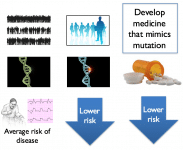 Medicines which mimic several of these gene mutations are now in clinical development. 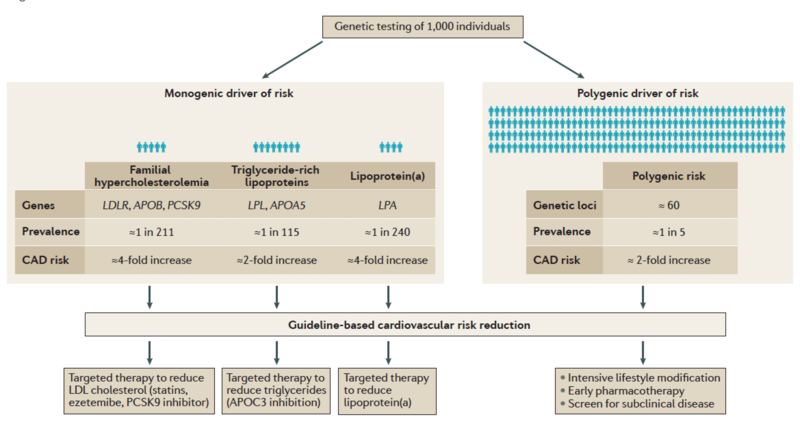 A polygenic risk score comprised of 50+ DNA variants can stratify 20% of the population at about 2-fold increased risk for heart attack; adherence to an healthy lifestyle can reduce this risk by about 50% and treatment with a statin can also cut this risk by about 45%.